Music In My Heart is Charley’s first new album since Choices, which was issued in 2011. Charley is now 79 years old; however, his voice seems to have hardly aged at all. I suspect that he may have lost a little off the top of his range but the quality of what remains is outstanding. Noted songwriter Billy Yates served as the producer of this album, as well as providing several of the songs and singing background on a few of the songs. Yates provides Charley with an updated version of the Nashville Sound minus the strings and soulless vocal choruses. Such stalwarts as Mike Johnson, Robby Turner and Scotty Sanders handle the steel guitar, while Stuart Duncan handles fiddle and mandolin. The album opens up with the Tommy Collins classic “New Patches” that served up the last top ten single for Mel Tillis back in 1984. “Country” Johnny Mathis (1930-2011), so named so as to not be mistaken for the pop singer of the same name, is nearly forgotten today, but he was a fine songwriter and “Make Me One More Memory” is a fine mid-tempo song, handled with aplomb by Pride. Ben Peters provided Charley with many big hits so it is natural for Pride to raid the Ben Peters songbag for material. Co-written with son Justin Peters, “Natural Feeling For You” is the kind of ballad that could have been a hit during the 1970s or 1980s. “All By My Lonesome” reminds me of the 1992 Radney Foster song “Just Call Me Lonesome”, although this song comes from Billy Yates and Terry Clayton. This is a mid-tempo ballad with a solid vocal by Pride. “It Wasn’t That Funny” was written by Yates and Dobby Lowery. The song is a lovely ballad about an almost breakup, that a couple experienced and can laugh about now, but brought moments of anguish along the way. Lee Bach penned “The Same Eyes That Always Drove Crazy”, a mid-tempo ballad of a chance meeting after years of separation. This song would have made a good single at any point before about 2005. The song features some really nice steel guitar by Mike Johnson and piano by Steve Nathan. Billy Yates and Billy Lawson chipped in the introspective ballad “I Learned A Lot”, in which the narrator relives the lessons he’s learned from losing his previous love. The song first appeared on Billy’s album Only One George Jones. “You’re Still In These Crazy Arms of Mine” was written by Lee Bach, Larry Mercey and Dave Lindsey. The title references what was on the jukebox the first time the narrator met his love. The song has a nice Texas shuffle arrangement (the song references the Ray Price classic “Crazy Arms” and mentions taking out Ray’s old records). Again, this is another song that would have made a good single in bygone years. “The Way It Was in ‘51” was written by Merle Haggard and was the title track for one of the Hag’s great albums and was the B-side of Hag’s “The Roots of My Raising”. “Lee Bach” wrote “I Just Can’t Stop Missing You”, a nice ballad that makes for a good album track but wouldn’t ever have been considered for a single. This song apparently has keyboards mimicking the sound of strings giving it more of a Nashville Sound production than the other tracks on the album. “Standing In My Way” comes from Billy Yates and Jim McCormick, an interesting ballad of self-recriminations. The album closes with a spritely up-tempo number from “Country” Johnny Mathis, “Music In My Heart”. I really liked this album. In fact I would regard this as Charley’s best album in over twenty years. I like the song selections, I like the arrangements and I like Charley’s vocals. Radio won’t play these songs but they should – it’s their loss! Maybe Willie’s Roadhouse will play it – after all octogenarian Willie believes in giving the youngsters a chance. This album doesn’t have a dud among its tracks – solid A. This is Flatt Lonesome’s third album and each has been a slight improvement on the album before, a difficult task since the debut and second albums were indeed excellent. On my list of favorite albums of 2016, I had Runaway Train at number two on my list and I gave serious thought to placing it at #1. Flatt Lonesome hails from Callahan Florida, a town just big enough to avoid jokes about the entering and leaving signs being on the same signpost. They have become huge favorites at the bluegrass festivals for the simplest of reasons – they sing well, are very proficient on their instruments, and select great songs to record. The group is essentially a family band with sisters Kelsi Robertson Harrigill and Charli Robertson joining brother Buddy Robertson in handling most of the vocals. Kelli plays mandolin, Charli plays fiddle and Buddy plays guitar. Paul Harrigill, who entered the family by marrying Kelsi, plays banjo and other instruments as needed. Non-family members Michael Stockton (dobro & lap steel) and Dominick Illingworth (bass) round out the team. The album opens with a tune written by Danny Roberts (of the Grascals) and Paul Harrigill titled “You’ll Pay”. Buddy takes the lead vocals with his sisters adding harmony vocals on this song about retribution. Next up is “Still Feeling Blue”, a song by Gram Parsons, a would-be country artist of the 1960s. Kelli takes the lead vocals with her siblings providing the harmony vocals. Parsons was greatly influenced by the Louvin Brothers and it definitely shows on this composition. This really is a good song and the trio vocal work just shines on this song. Dwight Yoakam would seem to be an odd choice for a bluegrass group to cover, but “You’re The One” really is a great vehicle for Charli’s lead vocals and the harmony trios. This song, a slow ballad, was a huge hit on bluegrass radio. Kelsi penned “In The Heat of The Fire” and takes the lead vocals on a fine religiously themed mid-temp ballad. Michael Stockton takes a nice dobro break and Charli does likewise on a fiddle break. The Bluegrass Cardinals wrote and recorded many fine songs during their two plus decade run. “Don’t Come Running” by the father and son team of Don and Dave Parmley is just one of the many fine songs, Buddy takes the lead on this song. Kelsi penned “In The Morning”, a nice religious ballad. This time sister Charli takes the lead vocals. “Road To Nottingham” is an instrumental written by Paul Harrigill and Brayden McMahon. The song gives the entire band an opportunity to shine. Dolton Robertson II is the father of Charli, Kelsi and Buddy but it turns out that he is a pretty good songwriter as “New Lease On Life” attests. Charli sings the lead vocal and Kelsi takes the harmony vocals. “Casting All Your Care On Him” was a husband and wife collaboration between Paul and Kelsi, with Kelsi taking the lead vocals and her siblings taking the harmony on this up-tempo religious song. When I first heard “Mixed Up Mess of A Heart” on XM Radio I was floored that a group this young could unearth an old Tommy Collins-Merle Haggard classic from the mid 60s. The song first saw the light of day in 1966 on Collins’ first Columbia album The Dynamic Tommy Collins. Haggard recorded the song in 1967 on his I’m A Lonesome Fugitive album. It probably isn’t fair to compare Buddy Robertson to either Collins or Haggard, I would say that he acquits himself well, and manages to imbue the spirit of Tommy Collins into his vocals. It should be noted that both Collins and Haggard used the title “Poor Broke Mixed Up Mess of A Heart”. Paul & Kelsi collaborated on “Letting Go”, a downer of a song that asks if love ever really existed. The album closes with “Runaway Train”, written by Australian artist Kasey Chambers . This song isn’t even remotely a bluegrass song, but is the mark of a group’s excellence that they can take left field material such as this and make it fit in the context of a bluegrass album. Flatt Lonesome won the IBMA’s Vocal Group of the Year, the first of many such awards that will be forthcoming for this talented group. In terms of trio harmony, they have few peers. This is a group will continue to grow in stature. I can hardly wait for their next album. It is hard to believe that Craig Morgan’s debut album, released by Atlantic Records, came way back in 2000. While this album proved to be a false start for the 36 year old Morgan in that Atlantic shut down its Nashville operations in 2002, the resulting album revealed the US Army veteran to be a fine singer capable of drawing both on past experiences and imagination in selling a song. “Paradise was the second single released and topped out at #46, more a reflection of Atlantic’s promotional efforts than the song’s merits. The final part of this series looks at recordings issued on Capitol Records. Capitol didn’t have its own budget label but would lease old recordings to Pickwick and Hilltop. Capitol Records was the smallest of the big four labels. Co-founder Johnny Mercer, a noted songwriter and performer, intended the label to be artist-friendly and so its rosters were relatively small. The major country artists for Capitol were Merle Travis, Tennessee Ernie Ford, Hank Thompson, Jean Shepard, Tommy Collins, Ferlin Husky, Tex Ritter, Faron Young, Sonny James, Wanda Jackson (not really a major country star), The Louvin Brothers, Charlie Louvin, Buck Owens, Merle Haggard, Glen Campbell, Freddie Hart and Gene Watson. For whatever reason, most of the major Capitol artists are well represented on CD, whether through Capitol’s own reissues, or the efforts of foreign labels such as Ace, Bear Family and Jasmine. Among the Capitol artists listed above I would like to see more domestic re-issues on Faron Young, Charlie Louvin and Sonny James, but there is much product available even for them. Kenny Dale was a fine singer who had a few hits reach as high as #11 on Billboard’s country charts (some of them, such as “Bluest Heartache Of The Year” reached #1 in some regional markets). While Capitol’s New Zealand affiliate issued a nice compilation (and Kenny has frequently performed ‘down under’) there has been nothing available domestically. While Bobbie Gentry was a relatively minor presence in country music, a good two CD set of her material is needed as she had some success in the international markets along with her domestic hits. The Hager Twins (aka Jim & Jon Hager) spent many years on the television show Hee Haw and toured with great success right up to the day Jim Hager died on May 1, 2008 (Jon died on January 9, 2009). While they never had great recording success, they remained a popular act and did chart a few records. The Hager Twins issued three albums on Capitol and it is likely, since most Capitol albums of the era ran 25-27 minutes in length, that all three could fit onto a single CD. Hailing from Beaumont, Texas (home of George Jones), Billie Jo Spears was a fine artist who would have her biggest hits later while with United Artists and would enjoy great success with audiences in Great Britain and Ireland. While with Capitol, Billie Jo released six albums and a minimum of thirteen singles with one top ten single. I believe that Capitol, Liberty and United Artists now are all owned by the same conglomerate so it should be possible to take the Capitol Recordings and her eight United Artist and two Liberty albums and make a really nice three or four CD set. Tony Booth would be on my wish list; however, Heart of Texas Records has reissued all six of Tony’s early 1970s albums on three CDs, as well as some recent recordings. Tony stayed in the business as a front man for Gene Watson, and perhaps others. He is a very fine singer. On the other hand, other than two now out-of print anthologies, nothing has been released on Susan Raye other than her duets with Buck Owens. A good two CD set should suffice for her. After knocking around the business as a songwriter and an excellent journeyman performer for over fifteen years, “Easy Loving” propelled Freddie Hart to superstar status for the better part of a decade. Already 43 years old when “Easy Loving” hit #1, while with Capitol Freddie had six #1 records, five more that reached the top three, three more top ten singles and a bunch more chart records to go long with eighteen albums (and a hits collection). Freddie is fully worth a boxed set of 60-80 songs based on his Capitol years alone. Gene Watson still is very active as a touring and recording artist. While he is still in great voice and issuing terrific albums, his commercial peak occurred during his years with Capitol Records. Gene released seven albums and two hits collections while with Capitol. The British Hux label issued six of the albums on two-fers, but the albums should be released domestically. Capitol should release all three albums on a three CD set and there wouldn’t be a bad song in the bunch. Mel McDaniel was a journeyman artist with a few big hits and a bunch of lower charting records that were good recordings but that have never been collected in digital form. There is a hits collection with ten or twelve songs on it, and some minor labels have issued re-recordings of some of his hits along with some extraneous new material. What is needed is a two CD set covering all of his 40+ Capitol chart records. Although they weren’t big radio hits, songs such as “Love Lies”, “Play Her Back To Yesterday”, “Hello Daddy, Good Morning Darling”, “Henrietta” and “Blue Suede Blues” are all worth preserving. 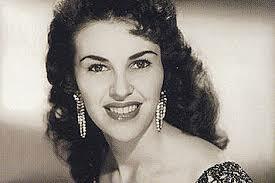 Most people identify Wanda Jackson as a Rock & Roll or Rockabilly artist rather than a country artist and that fact may have impaired her career as a country artist. That said, she had a substantial country career as a performer and released at least fifteen country albums while with Capitol. There have been a few decent Wanda Jackson country anthologies, mostly on foreign labels but a really good box set of 80-100 country recordings is warranted. Wanda Jackson Salutes The Country Music Hall of Fame is one of my favorite albums and none of its tracks have made it to a digital format. It would never have occurred to me that Merle Haggard and Mac Wiseman would team up on an album, but I am sure glad that they did, and that the album is widely available through Cracker Barrel. Produced by Ronnie Reno, son of bluegrass legend Don Reno, the album finds Merle and Mac playing a bluegrass set with a band comprised of with Rob Ickes (dobro), Carl Jackson (guitar), Aubrey Haynie (fiddle), Andy Leftwich (fiddle/mandolin), Ben Isaacs (acoustic bass), and special guests Vince Gill (tenor vocals), Marty Stuart (mandolin/guitar), Sonya Isaacs (high harmony) and Becky Isaacs (tenor harmony). Mac Wiseman has long been known as the “voice with a heart” , but perhaps he should also be known as “the voice with staying power” as the ninety year old Wiseman shows that he has lost little over the years. In contrast, the seventy-eight year older Haggard has lost more of his vocal prowess over the years. Even so, he still sings well. 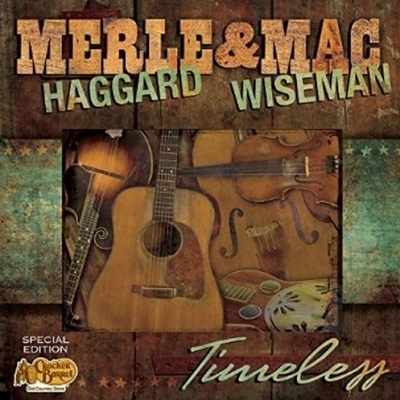 Although Haggard is by far the bigger star of the two, the disc is truly a collaborative effort with more than half of the repertoire being songs associated with Wiseman, although one could argue that the entire program is Wiseman since Mac sings anything and everything in the broad spectrum of country music. Merle & Mac sing together on six of the album’s thirteen tracks, Vince Gill is on two tracks as a vocalist, one with Merle and one with Mac. Merle has three solo vocals and Mac has two solo tracks. The disc opens up with “If Teardrops Were Pennies”, a Carl Butler composition that was a big Carl Smith hit from 1951 ( the duo of Porter Wagoner & Dolly Parton covered it in the early 1970s). The song has been in Mac’s repertoire forever. Merle and Mac swap verses on this one. The song is taken at mid tempo. Similarly, the Tommy Collins composition “High On A Hilltop” has been in Merle’s repertoire forever. This track features Vince Gill on harmony vocal. I’ve never heard the song done as bluegrass before, but good songs normally are adaptable to any treatment, and so it proves here. It would be unthinkable to do this album without featuring the three songs most intimately associated with Mac Wiseman. The first of these songs, Mac’s “I Wonder How The Old Folks Are At Home” has Merle and Mac swapping verses. The song has become a bluegrass standard. The same can’t be said for another Wiseman composition, “I’ll Be All Smiles Tonight”, but it’s a good song on which Merle and Mac swap verses. “Learning To Live With Myself” is a Merle Haggard composition that wasn’t ever a single, but is a thoughtful song that Merle sings as a solo. The harmony work by Sonya Isaacs and Becky Isaacs is very nice. “Jimmy Brown The Newsboy” is the second of the three Wiseman signature songs on the album. I think every bluegrass band in the world has this song in their repertoire, as well they should. Mac sings the verses, Merle does the introduction and harmonizes on the chorus, This is a great track, possibly my favorite on the album. Ronnie Reno adds tenor vocals. If there is one song people instantly associate with Merle Haggard, it has to be “Mama Tried”. Merle solos the vocal on this track. I love Rob Ickes’ dobro work on this track. This is the only track on the project of a song that was a hit single for Merle. Ronnie Reno, a former member of Haggard’s Strangers, plays guitar on this track. “Sunny Side of Life”, also known as “Keep On The Sunny Side” is an old Carter Family song that has been sung by country, folk and bluegrass singers for the last 70+ years. Mac and Merle swap verses on this one with producer Ronnie Reno adding tenor vocals. John Duffey, a founding member of both the Country Gentlemen and the Seldom Scene, wrote “Bringing Mary Home” while a member of the Country Gentlemen. The song was one the Country Gentlemen’s signature songs, tackled here as a solo by Mac Wiseman. Mac has been singing the song forever and inhabits the verses of the song as only he can. Vince Gill assists Mac on the third of Mac’s signature songs, Mac’s composition “Tis Sweet To Be Remembered”. I first heard the song with Mac singing it on the WWVA Big Jamboree radio show sometime during the mid-1960s. I loved the song then and now, and although it is impossible to pick a favorite Mac Wiseman song among the thousands of great songs he has sung, if I had to do it, it would be this song. Both Merle Haggard and Mac Wiseman are devout Christians and the album closes out with three religious songs. The last two songs are a pair of solo efforts, “Lord Don’t Give Up On Me”, a Haggard song sung solo by Merle and “Hold Fast To The Right”, a Wiseman copyright which Mac solos and Ronnie Reno plays guitar. These ‘two old Christian soldiers’ have had many hit records and successful albums, and it would have been too easy to record an album that romps through their greatest hits. Instead, what we have here is a thoughtful, organic program that forms a cohesive album. I can’t pick out one standout track since the album has so many great tracks. Suffice it to say, this disc has been playing in my car for the last three weeks. The friendly folks at Cracker Barrel have released something I thought I would never see – a new album of Faron Young recordings. This album is somewhat similar to CONNIE SMITH – THE LOST TAPES in that it is taken from live takes, old radio shows and some studio recordings that never were released. Unlike the Connie Smith recordings, these were one track recordings, not in a finished state. Producer Scott Oliver of Country Rewind Records, took the incomplete tracks and added additional instrumentation, vocal backings and some orchestration to create recordings that would fit comfortably on country radio during the last wave of neo-traditionalism (roughly 1986-2001). Many of the tracks were cut on acetate pressings that were intended for a single play on the radio. As such, some of the tracks required painstaking repair efforts. If I had to guess. most of the vocals were originally recorded in one take resulting in vocals that sound spontaneous and alive. The basic sound is crisp and clean and modern. Faron’s vocal performances are very good. 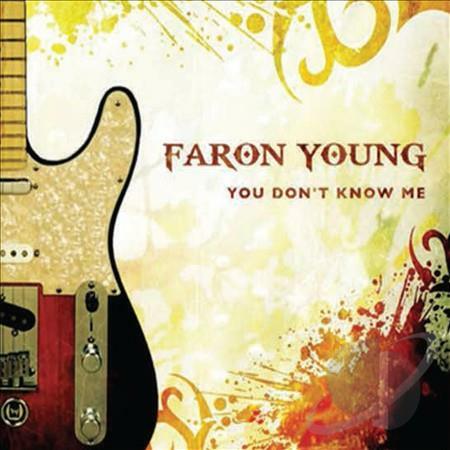 There is no information as to the additional musicians used on the collection, but Faron’s son Robyn Young wrote the liner notes. I would guess the original radio tracks and demos came from the mid-to-late 1960s as none of the songs feature hits from the 1970s. Because the tracks were meant for radio shows, a few of the tracks run under two minutes (“Alone With You” runs only ninety seconds) so the total playing time of the disc is just over 35 minutes. “I’ve Got Five Dollars (and It’s Saturday Night)” – this song was #4 hit for Faron in 1956 (the duo of George Jones & Gene Pitney also had a hit with it in 1965) and is taken at a very brisk tempo. “Hello Walls” – this Willie Nelson-penned song was Faron’s biggest seller spending nine weeks at #1 in 1961 and selling over a million records. The 1961 hit recording was not very country, having been aimed squarely at the pop charts (it reached #12). This recording turns it back into a country song with country fiddles and steel guitar being featured prominently in the mix. “A Place For Girls Like You” – this song was Faron’s third chart single, reaching #8 in 1954. This version picks up the tempo a bit from the original version. “She Went A Little Bit Farther” – Faron recorded for Capitol; Records until 1962, switching over to Mercury in 1963. This song reached #14 for Faron in 1968. Faron’s chart success was very up and down during his first five years with Mercury as he sought to repeat the pop success of “Hello Walls”. In 1969 Faron went back to being a traditional country singer. This version is a little faster than the recorded single version and a little more country. “You Don’t Know Me” was written by the legendary Cindy Walker from an idea supplied by Eddy Arnold. Eddy had a top ten hit with the song in 1956 and Ray Charles had a #2 pop hit with it in 1962. This recording would have made a great single for Faron had it existed and been released during Faron’s lifetime. “I Guess I Had Too Much To Dream Last Night” – I love the steel guitar work on this recording. Faron’s 1967 single only reached #48. This is a much better recording, a likely top five record had this been the released version. To younger minds, it must be impossible to conceive of this song being a hit single. Be that as it may, “I Just Came To Get My Baby (Out of Here)” went to #8 for Faron Young in 1968. The arrangement here is a little more country sounding that the hit single. Faron Young had the first hit single on “Sweet Dreams” back in 1956, charting about six weeks before writer Don Gibson’s version hit the charts. Faron’s version reached #2 on the charts. This is a solid country version. For my money Faron Young was the best interpreter of this song, better than Don Gibson, Patsy Cline or anyone else that followed. “If You Ain’t Lovin (You Ain’t Livin’)” was Faron’s fourth chart single back in 1954 reaching #2 in early 1955. This Tommy Collins tune was recorded by many artists during the 1950s and 1960s. I like this version very much. “Alone With You” – according to Billboard, this was Faron’s biggest hit spending thirteen weeks at #1 in 1958. This version is taken at a very fast tempo, finishing up in ninety breath-taking seconds. Very solid fiddle and steel guitar on this track. I love this track, I just wish it lasted a little longer. I don’t remember “You Had A Call” – it wasn’t a single and if I heard it before, it passed by unnoticed. Not so this version, which caught my attention the within the first few notes. Unlike most of the songs on this collection, this is a slow ballad with a mostly understated arrangement that lets Faron’s voice take center stage. “Live Fast Love Hard Die Young” was Faron’s first #1 single back in 1955, spending three weeks atop the charts. This version, from a radio show, is slightly faster than the original recording. The instrumental breaks on the recording are very good and very country. The song is a perfect ending to a very entertaining album. I just wish they had found a few more songs to lengthen the album a bit. (1) The legend says Hank gave Faron the rights to “Goin’ Steady” in exchange for which Faron would give up dating Billie Jean Eschelman, a young lady both had been dating. Billie Jean would become the second Mrs. Hank Williams and in a bizarre twist of fate, would also be the widow of Johnny Horton. It’s been a while since my last installment of this series. Here are some more songs from the 1980s that I liked and remember. See if you recall any of these records. The early 1980s belonged to Ricky Skaggs as he racked up eight #1 records before the end of 1984. Some of his records were bluegrass/country hybrids, others, like this cover of Mel Tillis-penned Webb Pierce record were more straightforward country. This record topped the charts in 1984 and had a very amusing video to accompany it. After disappearing from the charts for six years, Connie emerged with this excellent single in 1985. Epic didn’t give the record much of a promotional push so it only reached #71, but it was one of my ten favorite records for the year 1985. Margo Smith has a short run of chart success in the late 1970s but by the end of the decade her run was almost over. This 1980 record would stall at #52 and other than a pair of duets with Rex Allen Jr., she would not see the top forty again. Margo is still an active performer and lives in the Villages, FL. When she’s feeling well, she can still yodel with the best of them. Sammi’s last top twenty record, reaching #16 in 1981. Sammi should have become a much bigger star than she did. This Cajun accordion player had two top ten records for RCA in 1988 before fading away. Cajun has never been mainstream so he didn’t figure to have too many hits (and he didn’t). This record reached #9 and the one before it “No More One More Time” reached 7. Nothing else reached the top twenty. In recent years, covers and tributes albums have been a dime a dozen; it seems that nearly every artist past his or her commercial peak has released a collection of songs that he/she grew up listening to. Bakersfield, the recently released effort from Vince Gill and steel guitar virtuoso Paul Franklin, takes a different approach; instead of paying tribute to a particular artist or compiling their favorite songs, they opted to pay homage to a specific sub-genre of country music: the Bakersfield Sound, which emerged in California in the late 1950s, in response to the increasingly crossover-oriented countrypolitan music being made in Nashville at the time. The two most successful and well-known Bakersfield artists were Buck Owens and Merle Haggard, and it is from their catalogs that the material on Bakersfield is culled. Although some of Buck’s and Merle’s big hits are represented here, Gill and Franklin, who produced the project themselves, also delved deeper into the two legends’ discographies and included some lesser known gems. There isn’t a Vince Gill album that I don’t own, so from the time that this project was announced it was a must-have for me. Paul Franklin’s participation was a bonus, as it ensured that the album would include a generous amount of pedal steel guitar, arguably the most important instrument in country music, and one that is criminally underrepresented on most contemporary country recordings. Although I did initially have some reservations that Vince could do justice to some of the Haggard tunes, he rises to the occasion most of the time. Both “Branded Man” and “The Bottle Let Me Down” are performed beautifully with the wonderful Dawn Sears taking over harmony duties from Bonnie Owens. However, “The Fightin’ Side Of Me”, while good, doesn’t pack the same punch as Merle’s original 1969 version. I’m not as intimately familiar with the Buck Owens material, so I’m inclined to slightly favor the ones that are newer to me, namely “But I Do” and “Nobody’s Fool But Yours”. I can find no fault with the material or how it is performed; these recordings are impeccably performed and are a reminder of what country music once was and what it ought to be. The album falls short only in what it does not provide — namely, more music. It contains a mere ten tracks and clocks in at just under 37 minutes. I wish that it contained a few more tracks, and that Gill and Franklin had seen fit to include a few songs from other Bakersfield artists. It’s inevitable that Owens and Haggard will dominate a project like this one, but it would have been nice to have heard a Wynn Stewart, Tommy Collins or Maddox Brothers and Rose song or two. Let’s hope that a second volume is in the works to rectify these omissions. It goes without saying that Bakersfield will receive no support from country radio, but it is worthy of a Grammy nomination and I hope that it sells respectably and gets the critical acclaim that it so richly deserves. In a career in which he was a humorist, a singer, a dramatic actor on Kraft TV Theater, a movie star and talent scout, it seems only appropriate that Ferlin Husky was one of the first to record and take a Dallas Frazier lyric up the country charts. Moreover, Husky is one of the few country stars to have three career songs in “A Dear John Letter”, his 1953 duet with Jean Shepard that spent 6 weeks at #1 on Billboard’s Hot Country Chart (and reached #4 on the pop charts); “Gone”, a 1957 hit that spent 10 weeks at #1 on Billboard (and also reached #4 on the pop chart); and finally, in 1960, “The Wings Of A Dove”, a massive hit that Cashbox lists as the biggest country song of the period 1958-1984 with 19 weeks at #1 (Billboard had it at #1 for 10 weeks). Ferlin Husky (December 3, 1925 – March 17, 2011) was born on a farm midway between the Missouri towns of Flat River, Hickory Grove and Cantwell. As a youngster, Ferlin obtained a guitar and, aided by his uncle Clyde Wilson, he learned to play it. Upon graduation from high school, Ferlin moved to the region’s biggest city, St. Louis, where he briefly worked odd jobs to survive before joining the US Merchant Marines in 1943. Ferlin would spend five years in the Merchant Marines, where in his off hours he would entertain shipmates with his vocals and musicianship. In 1948 Ferlin left the Merchant Marines to return to St. Louis where he worked for over a year with Gene Autry’s sidekick Smiley Burnett at radio station KXLW. Moving to California in 1949, Husky landed some bit parts in western movies before moving to Bakersfield, where he sang at local clubs and worked as a disc jockey. By 1950 he was recording for Four Star Records under the name ‘Terry Preston,’ a name Ferlin felt less contrived than his given name. While none of the Terry Preston recordings became hits, they favorably impressed Cliffie Stone, a Southern California disc jockey whose television show Hometown Jamboree was quite popular. Stone played the Terry Preston records on his morning show on KXLA and eventually got Ferlin signed to Capitol Records, still under the name Terry Preston. Recording for legendary Capitol producer Ken Nelson, several fine singles resulted, including a cover of an old Roy Acuff hit “Tennessee Central #9,” none of which charted. Nelson urged Ferlin to use his real name and the first single released under that name (“Huskey”–with an E–being the spelling used on records until 1957) hit the jackpot as the 1953 recording of “A Dear John Letter,” sung by Jean Shepard with recitation by Ferlin, resonated with returning Korean War veterans and launched both careers. A follow up record with Ms. Shepard, “Forgive Me John”, also went Top 10 in late 1953, but it took another year for the solo hits to start. Finally, in 1955, Ferlin hit with four songs, two Top 10 records in “I Feel Better All Over” and “Little Tom”, a Top 20 record in “I’ll Baby Sit With You,” and a #5 hit recorded under the name of his comic alter-ego Simon Crum, “Cuzz Yore So Sweet”. Growing up in the Great Depression and coming of age during World War II gave Ferlin a sense of the importance of helping others. As one of the first artists to reach Bakersfield, Ferlin was an influence and mentor to such struggling entertainers as Tommy Collins, Billy Mize, Dallas Frazier, Buck Owens and Roy Drusky. In fact, it was Ferlin who renamed Leonard Sipes as Tommy Collins. During his years with Capitol, Ferlin Husky would push the boundaries of country music, whether by the sophisticated balladry of “Gone”, or the gentle ribbing of his #2 hit “Country Music Is Here To Stay” (as recorded by Crum). After 1972, Ferlin would sign with ABC where he would chart nine times with hits including “Rosie Cries A Lot” (#17). A very nice record called “A Room for A Boy … Never Used” got lost in the shuffle; it peaked at #60 but is well worth hunting down. After his stint with ABC, Ferlin would record sporadically for minor labels, often remaking earlier hits but sometimes coming up with new material. In 2005, at the age of eighty, Ferlin issued an excellent new CD, The Way It Was (Is The Way It Is), on the Heart of Texas label. This CD featured both old and new material, with Leona Williams on two tracks, and backed by a cast of fine Texas swing musicians. Released in October 1980, the last mainstream album Haggard recorded for MCA (a gospel release was his swan song for the label) was a concept album of sorts, on the classic country themes of broken hearts and honky tonks, with drinking and casual barroomhook-ups frequently serving as some kind of consolation for lost love. The traditional themes and basic country structures of the songs are counterpointed with a sometimes adventuruous production courteous of Jimmy Bowen, with extensive but tasteful use of brass giving a faint Dixieland jazz feel. Three quarters of the songs were written by Haggard, and, as a group, they form Haggard’s strongest collection in some years. It peaked at #3. The defeated honky tonker ‘I Think I’ll Just Stay Here And Drink’, another classic number, with tinkling bar room piano cementing the mood, took him back to the top of the charts. But how in the hell was Leonard supposed to know? And lost his wife and family on the road. The acutely observed story song of ‘Make Up And Faded Blue Jeans’ finds the struggling singer-songwriter protagonist half-reluctantly hooking up with an equally desperate older woman. It was not a single, but is a well-remembered song which has been covered by, among others, Daryle Singletary. Title track ‘Back To The Bar Rooms Again’, yet another classic on an album packed with them, was written by Haggard with Dave Kirby. It draws once more on the honky tonk atmosphere and downbeat mood, with a cuckolded husband returning to drinking, although this time whiskey is the “best friend” of choice. In ‘I Don’t Want To Sober Up Tonight’, he refuses to pretend everything’s okay in a troubled marriage/life. His own marriage, to Leona Williams, was beginning to crack at the seams, but they co-wrote the cheerful ‘Can’t Break The Habit’ celebrating a love which sounds a little more like co-dependency. That fracturing relationship may also have prompted Haggard’s choice to cover Hank Williams Jr’s rather final ‘I Don’t Have Any More Love Songs’. Dave Kirby (who was, ironically enough, to marry Leona Williams in 1983 after her marriage to Haggard finally collapsed) co-wrote the mellow and melodic ‘Ever Changing Woman’ with Curly Putman. Iain Sutherland’s ‘Easy Come, Easy Go; has a similar vibe, but is more forgettable. The wistfully melancholic ‘Our Paths My Never Cross’ about missed opportunities for potential true love has a lovely tune and a jazzy feel thanks to the brass in the mix. The album is easy to find on CD at reasonable prices, and is well worth tracking down. The production has dated a bit, but the songs haven’t, and this is recommended listening. After over a decade on Capitol, 1976 saw Haggard calling a halt to his association with the label. He was still at his peak, and that year he was to release three albums, two of which are avilable on one CD reissue. One of these was his first thematic concept album (as opposed to his tributes to two of the musical heroes who had inspired him), My Love Affair With Trains. Haggard wanted to document his lifelong love of trains at a time when this important element of American history was being swept away, and to pay tribute to the men who had worked and lived on the railroads. It opens with an acoustic snippet from ‘Mama Tried’ with its reference to his childhood dreams of trains, leading into the first of a series of spoken reminiscences and comments over a selection of genuine train and whistle sounds, which are interspersed with the songs. Proceedings open with the Dolly Parton-penned title track, a cheerful mid-tempo number with solid train rhythms which belies the generally elegiac mood. The subdued and melancholy ‘Union Station’, written by Ronnie Reno (the bluegrass singer and musician who was then a member of the Strangers) about a station threatened with demolition, exemplifies the overall tone. 1972’s It’s Not Love (But It’s Not Bad) was Merle Haggard’s 15th studio album for Capitol Records. Like his previous efforts, it was produced by Ken Nelson and Fuzzy Owen. It was recorded entirely at California — part of it as early as 1970 — at Capitol Records Studio and United Recording Studio in Hollywood, and Buck Owens Studio in Bakersfield. He wrote five of the album’s eleven tracks, relying on writers such as Hank Cochran, Glenn Martin, Tommy Collins, and Red Lane to supply the rest of the album’s songs. Cochran and Glenn supplied the title track, which became Merle’s 13th #1 hit. It’s one of my favorite Merle Haggard tunes that he didn’t write himself. Emmylou Harris revived it a decade later when she included a version on her live Last Date album. The title track was the only single released from the collection, so most of the tunes here will be unfamiliar to many fans; however, this is an excellent collection without a single dud among its eleven tracks. Haggard’s own “My Woman Keeps Lovin’ Her Man” and “New York City Blues” which finds him homesick in Yankee territory, are both excellent, with the latter showing a strong Jimmie Rodgers influence. Another Haggard original, “A Shoulder To Cry On” would become a #1 hit for Charley Pride a few months later. Pride had expressed an interest in the song upon hearing Haggard perform it shortly after it was written. Merle generously allowed Charley to record the song and release it as a single. Had he kept it for himself, it’s a safe assumption to say that his own version would have reached the top of the charts. “Dad’s Old Fiddle” sounds like a Haggard-penned tune, but it was actually written by Glenn Martin, most likely with Merle in mind. It tells the story of a man who inherits his father’s fiddle and learns to play it. Merle’s own father had played the fiddle in Oklahoma, but gave it up before Merle was born, and Merle later taught himself how to play the instrument when he was preparing to record his Bob Wills tribute album. Merle Haggard released two albums in 1967, I’m A Lonesome Fugitive in March and Branded Man in August. Both were produced by Ken Nelson and appear to have been recorded concurrently at Capitol Recording Studios in Hollywood. Like his previous two LPs, the 1967 offerings broke with the day’s usual practice of building albums around one or two hit singles and cover versions of recent hits by other popular artists. Instead, Haggard’s albums consist primarily of original material written by the artist himself, occasionally co-written with Bonnie Owens, and a few select entries from other well-known songwriters including Tommy Collins, Hank Cochran and Liz and Casey Anderson. The Andersons penned “The Fugitive” (also known as “I’m A Lonesome Fugitive”), which had been released the previous December. It is noteworthy not only because it became Haggard’s first #1 hit, but also because it was his first convict record, a theme he would revisit many times over the next 40 years. Inspired by the popular television series “The Fugitive” doesn’t reveal whether the antagonist is guilty or wrongly accused, which contrasts with Haggard’s later prison songs, in which the narrator is usually guilty and remorseful. The version on the current CD is an alternate take but isn’t significantly different from the better-known hit version. Initially reluctant to discuss his past transgressions, Merle was persuaded by Johnny Cash to face the issue head on rather than giving the tabloids the opportunity to do so. “Life In Prison”, in which the protagonist concludes that a life sentence is perhaps worse than execution, is perhaps his earliest self-penned effort about life behind bars. Although “The Fugitive” was the only single released from this set, many of the album’s other cuts were possible contenders. “Someone Told My Story”, with Bonnie Owens’ prominent and familiar harmony vocals, is a particular favorite of mine, as is “My House of Memories.” There are two covers on the album — a remake of his own “Skid Row” which had been his Tally Records debut a few years earlier, and Jimmie Rodgers “My Rough and Rowdy Ways”, which is only one of three tracks on the album in which Merle did not have a hand in writing (the other two are “Mary’s Mine” and the title track. The original album closed with the spirited “Mixed Up Mess Of A Heart”, which Merle wrote with Tommy Collins. The Buck Owens influence is readily apparent on this track. The current 2-for-1 release includes two bonus tracks: alternate tracks of “Life In Prison” and “Someone Told My Story”, which while nice to have, don’t add much value to the collection. Branded Man, released five months after I’m A Lonesome Fugitive, is a stronger set than its predecessor. This time around Merle relied a little more on outside songwriters, with Tommy Collins contributing three entries, and co-writing a fourth with Merle. The great Hank Cochran wrote “Loneliness Is Eating Me Alive”. But the highlights of this album are the two singles, both penned by Haggard. “I Threw Away The Rose”, which was perhaps inspired by the 1962 film The Days Of Wine And Roses, was Merle’s follow-up hit to “The Fugitive”. Peaking at #2 in Billboard, it just missed becoming his second #1 hit. Instead, that honor went to the next single, the album’s title track, which topped the chart in September 1967. The semi-autobiographical number deals with an ex-convict’s unsuccessful attempts to wipe the slate clean and get on with his life. Though it was never released as a single, “Somewhere Between”, co-written with Bonnie Owens, is a well-known album cut that has been covered many times by artists such as Suzy Bogguss and Keith Whitley, and is on my short list of favorite Haggard tunes. Tommy Collins’ “Don’t Get Married” is the best of the non-Haggard penned tunes, but Merle’s cover of the classic “Long Black Limousine” is surprisingly pedestrian and the weakest cut on the album. The album closes with two bonus tracks: alternate versions of “I Threw Away The Rose” and “Loneliness Is Eating Me Alive”. Both are quite different from the better-known versions. They sound as though they were recorded live in the studio, and I suspect that both are previously unreleased Tally recordings. Because neither album was recorded in Nashville, many of the usual names are absent from the session musician credits, although the great Ralph Mooney plays steel guitar on both albums. Glen D. Hardin, who would later become well known through his association with Emmylou Harris, plays piano. Oh yeah, and some guy named Glen Campbell plays guitar. This 2-for-1 release, available on CD and as a digital download, is excellent value and well worth adding to your collection. Haggard’s debut single was a cover of Bakersfield star Wynn Stewart’s ‘Sing A Sad Song’ which was released on independent West Coast label Tally. Although it crept into the top 20 on Billboard, Merle sounds as if he is trying too hard to copy Stewart vocally, breaking into an uncomfortable falsetto, and there is a very heavy handed string arrangement. He followed that up with a song penned by another Bakersfield boy, Tommy Collins’s perky novelty story song ‘Sam Hill’, which is certainly memorable, but now sounds very dated, particularly the backing vocals, and it performed less well than its predecessor. On the flip side was the pained ballad ‘You Don’t Have Very Far To Go’, which Haggard wrote with fellow Bakersfield singer-songwriter Red Simpson. This is an excellent song, addressed to although the string section is overdone again. The third and last single for Tally, the rueful ‘(All Of My Friends Are Gonna Be) Strangers’, was the one which really kickstarted his career. The first of many genuine classics Haggard was to make hits, it is unusual in that it was not one of his own songs, but was written by fellow Californian Liz Anderson (mother of Lynn), to whom he had been introduced by Bonnie Owens. A Bakersfield bar room take on lost love, it was his first top 10 hit single and gave him the name of his backing band, the Strangers. Even though a competing version by the more established Roy Drusky may have cut into sales, it was a big enough success that it persuaded major label Capitol to buy out his Tally contract. Six Tally sides were packaged with newly recorded material in the same vein, produced by Ken Nelson, for Haggard’s debut album in 1965. The malicious ‘I’m Gonna Break Every Heart I Can’ (a Haggard original) was his first single actually released on Capitol, although it failed to break into the top 40 on Billboard. It is an energetic, personality-infused response to “get even with womankind” by breaking the hearts of every girl he meets. Typically, country albums in the 60s featured one or two singles, a lot of filler, and covers of other artists’ hits. Haggard was much more album-oriented, even at this early stage, writing five of the album’s dozen tracks, and there are other songs which could have been hit singles given the exposure. A couple of tracks are still filler, with overdone string-laden productions. The heartbreak ballad ‘You Don’t Even Try’ was written with Haggard’s friend (and Bonnie Owens’s then boyfriend) Fuzzy Owen, co-owner of Tally, while steel guitarist Ralph Mooney’s romantic and sophisticated sounding ‘Falling For You’ is not a patch on ‘Crazy Arms’. A cover of Ernest Tubb’s classic ‘Walking The Floor Over You’ is taken at a disconcertingly brisk, almost cheerful pace, which doesn’t quite work. Rounding out the set are rather better versions of another fine Liz Anderson song, the depressed ‘The Worst Is Yet To Come’, and Jenny Lou Carson’s sad but pretty sounding lament for lost love ‘I’d Trade All Of My Tomorrows’. The West Coast based Academy of Country Music recognized this bright new star by naming him Best New Male Vocalist for 1965 and also gave him the Best Vocal Duo award for his duet album with Bonnie Owens. A year later he had advanced to the title of Best Male Vocalist. Haggard was definitely on the right track with his debut, but had not quite found his distinctive voice yet. An updated and expanded version of an article previously published by The 9513. The song was released on Columbia, Tommy’s first release for them after more than a decade recording for Capitol. It appeared to be a career renaissance for Tommy, reaching #7 on the Billboard and Cashbox Country Charts, and his first real hit since 1955. Instead, it proved to be a last hurrah as he never again cracked the top forty as a performer, although a number of his songs continued to chart well for other performers. Buck Owens and Merle Haggard are the names that immediately come to mind when the term ‘Bakersfield Sound’ is mentioned, as should be expected given their staggering commercial success. While those are the two most prominent names, Tommy Collins and (slightly later) Wynn Stewart were at least as important to the development of the bright and tight electric guitar sound that came to dominate Bakersfield music. Born Leonard Sipes on September 28, 1930, near Oklahoma City, OK, Tommy Collins was the first of the specifically Bakersfield artists to reach prominence, although there was an active California country music scene before his arrival. His second Capitol single “You Better Not Do That” reached No. 2 (for seven weeks) in 1954 and was the first of a string of six novelty hits that ran through the end of 1955. In contrast, Buck Owens was not to chart until 1959 and Merle Haggard did not chart until 1963. Collins spent his entire childhood in Oklahoma, graduating from high school in 1948. After that he attended Edmond State Teachers college, recording his first singles for an independent label and working for radio station KLPR radio in Oklahoma City. While at KLPR he met and made friends with Wanda Jackson, who had her own show on the station. Collins served briefly in the military; after discharge, he and Wanda Jackson (and her family) moved to Bakersfield. Wanda Jackson did not stay long before moving back to Oklahoma, but Collins made friends in the area, including Ferlin Husky (a/k/a Terry Preston and Simon Crum), with whom he roomed for a while. After recording some of Tommy’s songs, Husky convinced his label, Capitol, to sign Collins in June of 1953, at which time he adopted his stage name Tommy Collins. He immediately assembled a band featuring Alvis Edgar “Buck” Owens on lead guitar. Following the success of “You Better Not Do That,” Collins recorded more novelties. “Whatcha Gonna Do Now” was the immediate follow-up, reaching No. 4, followed by “Untied” (No. 10) and “It Tickles” (No. 5). In October 1955, the double A-sided single “I Guess I’m Crazy” and “You Oughta See Pickles Now” charted both sides into the top twenty, but that marked the end as far as his sustained success as a recording artist as he became more religiously oriented. He would not chart again until 1964. In 1957, he enrolled in the Golden Gate Baptist Seminary with the intention of becoming a minister and did eventually become a pastor in 1959. While he continued to record for Capitol, including some novelties such “All of The Monkeys Ain’t in The Zoo,” his records received little promotion. His Capitol contract expired in 1960 and was not renewed. In early 1963 Tommy decided he was not meant to be a minister. He headed back to Bakersfield, re-signed with Capitol and in 1964 he returned to the lower rungs of the charts with “I Can Do That,” a duet with his wife Wanda. Collins then signed with Columbia in 1965 (apparently with an assist from friend Johnny Cash). After the aforementioned “If You Can’t Bite, Don’t Growl,” he had a string of minor hit singles, none of which cracked the country Top 40. Plagued by personal problems, including a drinking problem, Collins muddled through this period touring, at times with Buck Owens and Merle Haggard, usually opening the show for them. Both Owens and Haggard were artists who had recorded songs Tommy had written. Tommy would not chart again after 1968 and from that point forward his importance to country music would be as a songwriter. In 1972 Haggard had a huge hit with “Carolyn,” and in 1981, Haggard again paid tribute to Collins with “Leonard”, which focused attention back on Collins for the first time in many years. While all of Tommy’s success as a recording artist came with novelty songs, other artists had considerable success recording some of his more serious songs. Faron Young had a major hit with “If You Ain’t Lovin’ (You Ain’t Livin’),” reaching No. 2 for three weeks in 1955, and George Strait took the same song to No. 1 in 1988. Merle Haggard had hits with “The Roots of My Raising,” “Carolyn” and “Sam Hill.” Mel Tillis took “New Patches” near the top in 1980 and numerous other Tommy Collins songs can be found in various albums recorded by country singers of the ’50s, ’60s and ’70s. Tommy Collins died March 14, 2000 at the age of sixty-nine. Tommy Collins was not prolific as a recording artist–those who still honor vinyl can occasionally find his Capitol and Columbia albums online or in used record stores. They are all good, so if the album is in decent shape, don’t be afraid to purchase it. None of the Columbia material is available on CD. Several vendors including PureCountryMusic.com and the Ernest Tubb Record Shop have Tommy Collins material available. The most exhaustive set available is the Bear Family box set Leonard which covers everything he recorded on Capitol and Columbia. Bear Family always does an excellent job, but these sets are expensive and they are overkill for all but the most diehard fan. Probably the best single CD collection is titled The Capitol Collection. Released by Koch in 2005, it has 18 songs including all of his Capitol Hits. This collection is now out of print but may be located with some effort. Tommy Collins/Singer, Songwriter, Comedian is on the Gusto label and includes material Tommy recorded for Starday after his major label days were over. Tommy re-recorded some of his hits for this label–they are okay but lack the sparkle of the originals. The Best of Tommy Collins is available from Curb. Featuring songs culled from a pair of albums recorded for Tower Records (a Capitol subsidiary) in 1966 and 1968. While the title is misleading, the material is interesting. This CD sells for $5.99. The British Archive of County Music (BACM) issued a CD-R on Tommy Collins called Think It Over Boys. It covers 25 songs Tommy recorded from June 1953 to July 1956. This label specializes in the obscure and issues releases in CD-R format–you can order from them through several sources. They basically stick with music that has fallen out of copyright in the UK (50 years or older), but there doesn’t seem to be anything too obscure for them to issue–they feature US, Canadian, UK, Australian and New Zealand country music artists. BACM does not mass issue their high quality CD-Rs – they issue a small supply and then produce more as the demand warrants so you may have to wait a while for your order to be filled – but you will get it eventually.